Regime change war policy is the reason why North Korea sees nuclear weapons as their only deterrent from U.S.-led regime change. They’ve seen what we did in Iraq and in Libya. We must end these policies and engage in direct talks to peacefully de-escalate the nuclear crisis. 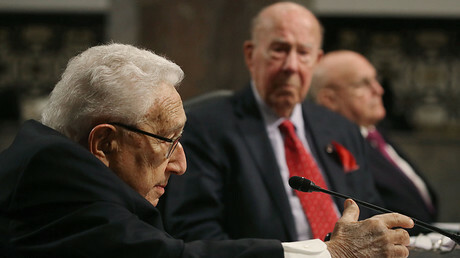 “Ukraine is sort of a the borderland of this conception,” said Kissinger, noting that an ideal solution would be to have it politically and economically part of the West, but neutral towards Russia like Finland was during the Cold War.